Belthangady, Oct 9,2017 : A young pair of lovers belonging to different religions were trapped with the help of the Hassan police while they were travelling in a car towards Bengaluru on October 8. It is said the two were in love since the past few years and had decided to elope after their families disapproved of their relationship. The youth was employed in Bengaluru, while the girl had just completed her education. The two had reportedly eloped with the help of the friends of the youth. 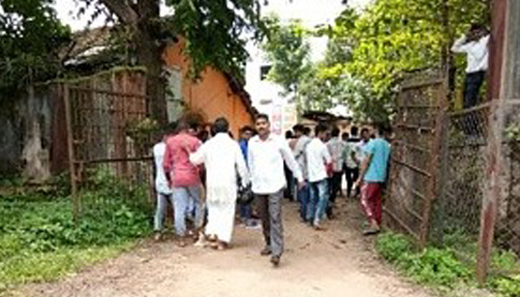 A tense situation prevailed outside the Town Police Station here on October 8 as large number of people from both the communities had gathered. Both the boy and the girl said they were on way to Bengaluru out of their own will and that the girl clarified that she was not abducted as stated in the complaint lodged by her family. The boy and the girl were later sent along with their respective families. You always fall in love not rise in love . Be practical in taking the decision because of your one mistake you have to suffer all your life .